Now, what this doesn’t tell you, is about the added ‘extras’ which are hidden on the beginnings and ends of a few of the tracks. For example, you can hear Kleine Boodschap on the start of CD 2, saying his piece, and you can also hear Vrouw Holle, the call of ‘Ezeltje Strekje!’ and a few more slotted in here and there within the CDs. 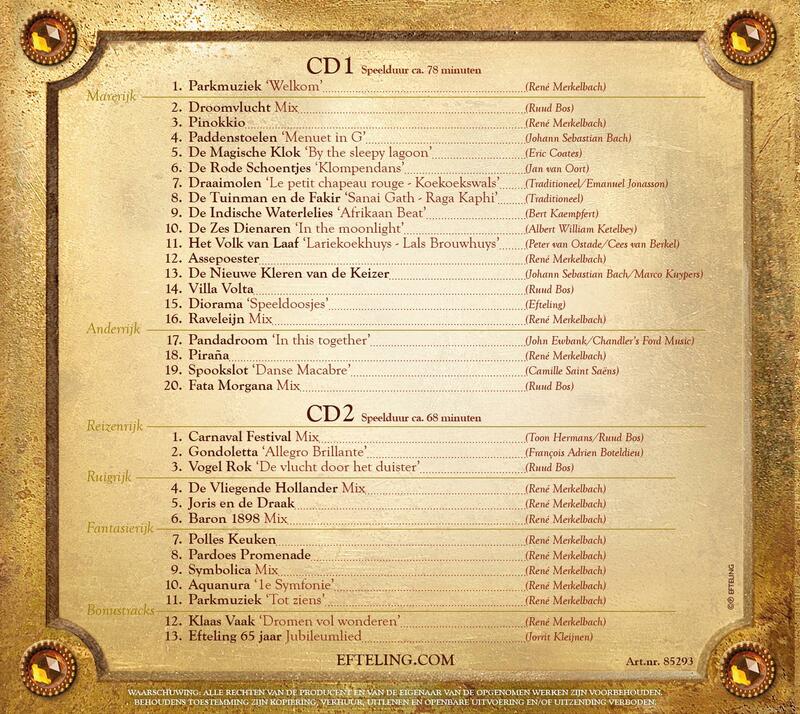 It is also nice to have music from Piraña included on the second CD, which was not on either of the last 2 Efteling CDs. Other new additions include The Emperor’s New Clothes, The Sandman, and music from Raveleijn. All the golden oldies are there too, including a handful of tracks from both Fata Morgana and the Dream Flight; and Carnaval Festival is a bit different from the version included on the previous CD. Another thing, the design of the box and CDs is a lot more elegant than the last CD, in my opinion. You can’t go wrong with toadstools. All in all, a good buy! 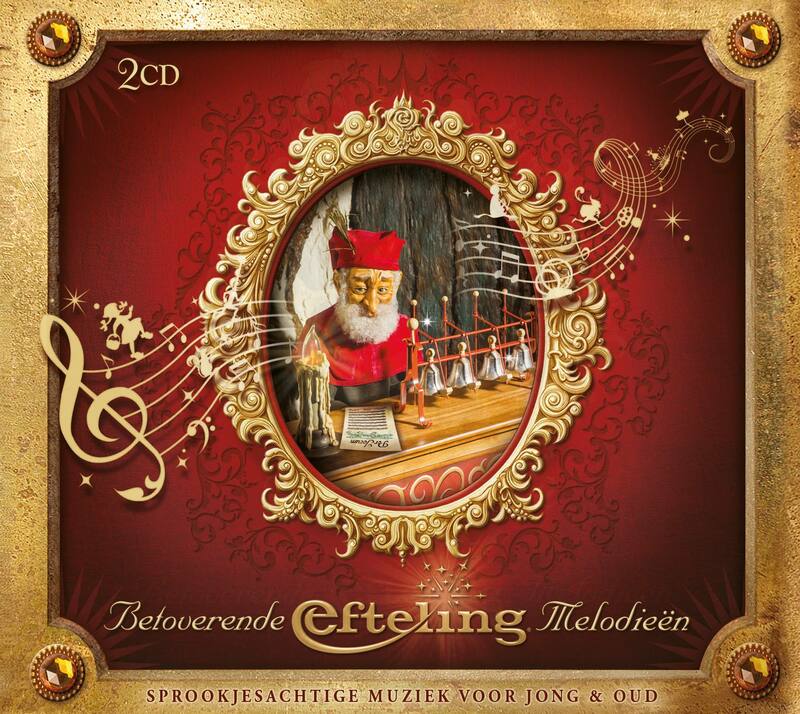 If you want all of the best Efteling music in one place, this is perfect.